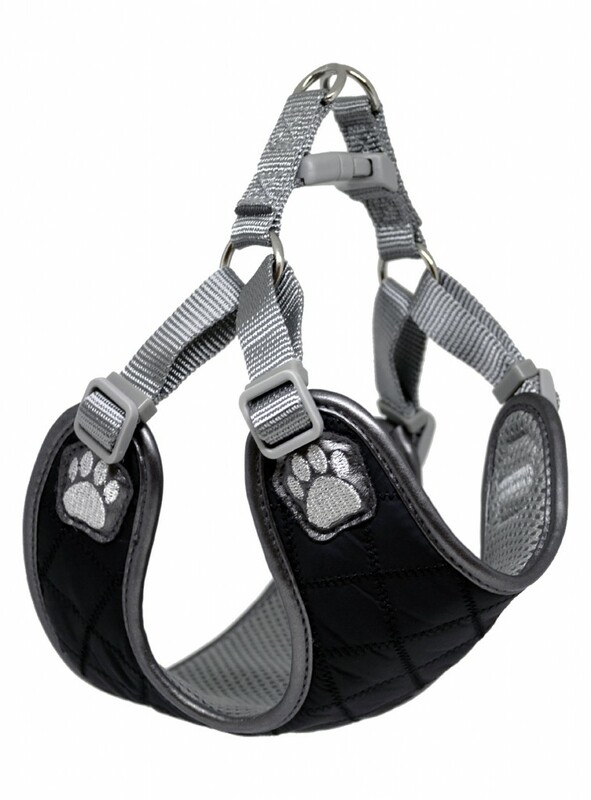 The Berlin Steel harness’ intricate composition is designed with a combination of strength, durability and style as seen with the integration of mineral colors of onyx and lead implemented surrounding the entire configuration. 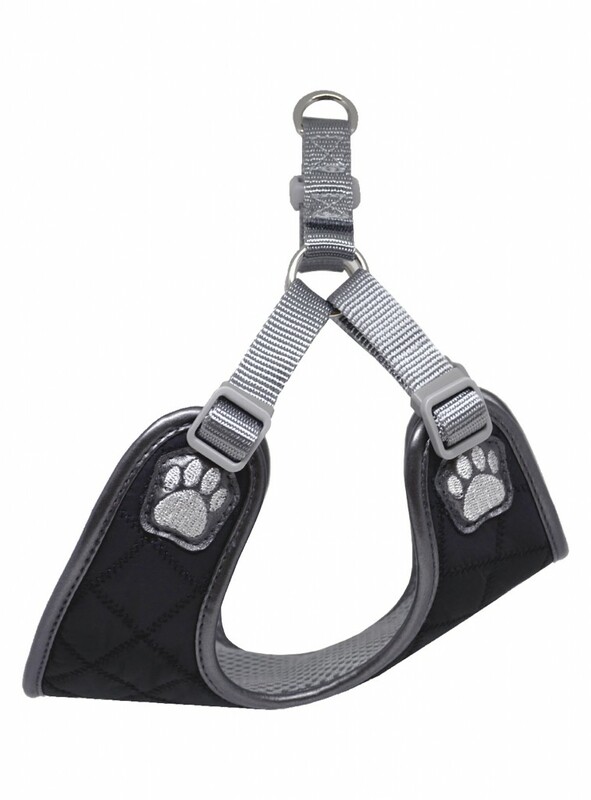 This piece was influenced by the steel obtained from the iron reduction forged in the historical era of the Great Moravian Empire around 9th century AD. 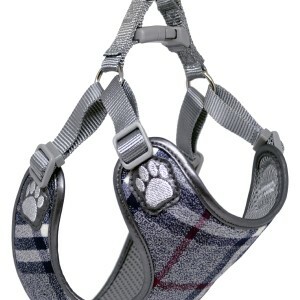 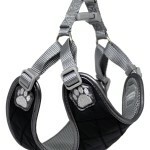 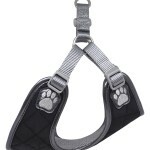 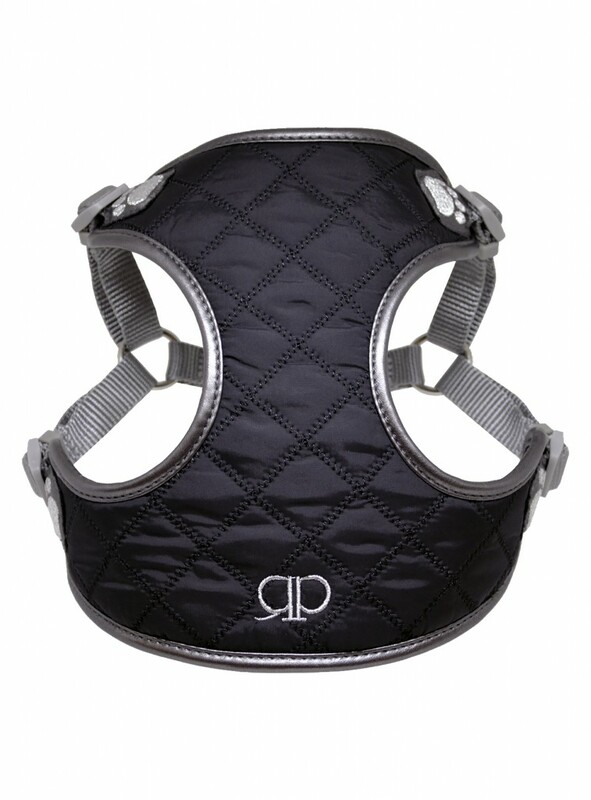 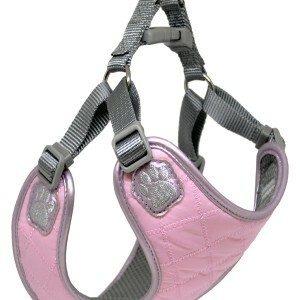 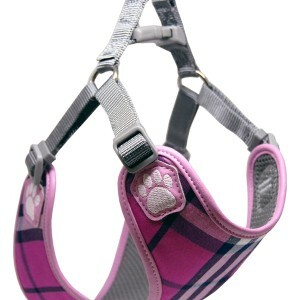 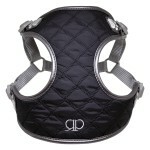 Accurate to form, its quilted cushioned design is custom-made with delicate precision using a running stitch giving the harness its structured shape and coagulated volume, while the alluring metallic edge ribbing contours the brawn in formation. 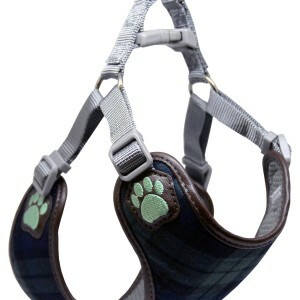 The evolution of this architectural creation is executed to refine the reinforcements to strength in order to cater to the pet’s agility in its powerful performance.